At the age of 18, Catherine Johnson was the driver in an automobile accident in which a friend was killed. With compassion, insight, and beautiful prose the author leads us through her personal journey of guilt, grief, and eventual forgiveness. Finding Mercy in this World is a memoir about loss, about the healing power of love, the beauty of the natural world, and the moments of grace that make us good again. 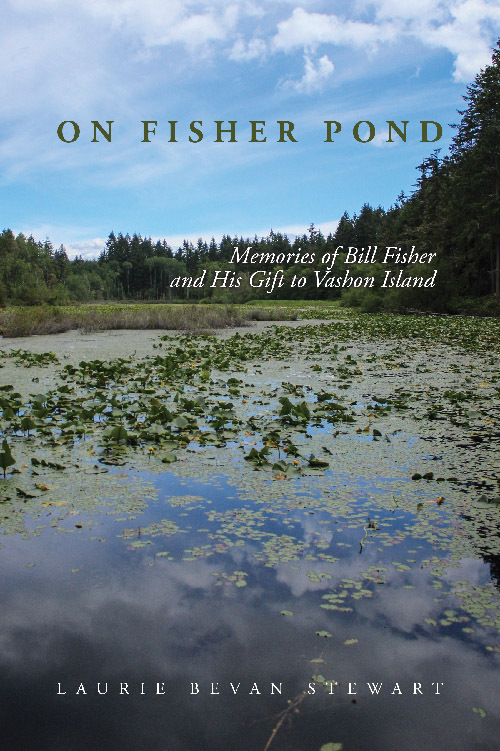 On Fisher Pond: Memories of Bill Fisher and His Gift to Vashon Island is a tribute to generosity and stewardship, not only for those on Vashon Island, but for anyone who loves the land—wherever they may live. 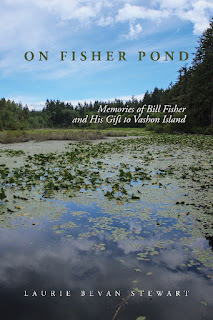 "Laurie Stewart has woven a warm, delightful, surprising portrait of Bill Fisher from shared memories of friends and neighbors, revealing a private person with a great capacity for observing, loving, and stewarding his pond and its surrounds. Bill gave the community his beautiful pond. 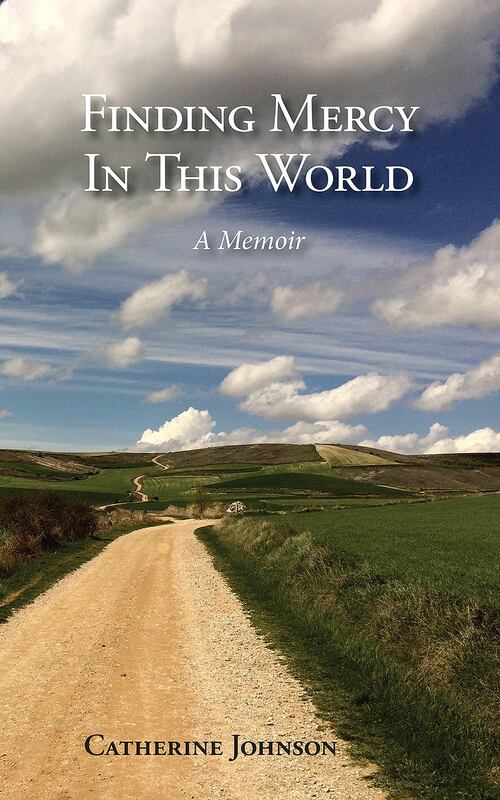 Laurie’s gentle descriptions and exquisitely remembered moments offer us a new gift: glimpses of the unusual man himself and his particular stewardship ethic." - Rayna Holtz, King County Librarian, ret. "This is a beautifully written tribute to an incredibly special and generous man." "Fisher Pond remains one of the most generous and precious of gifts to our community. The Vashon Land Trust is honored to steward it. Laurie Stewart's book is a wonderful reminder of Bill’s philosophy—that Nature knows what she’s doing." Lonny Kaneko’s poetry expresses the reverberating trauma of his family’s imprisonment in the Minidoka concentration camp during WWII. Without committing a crime or due process, the Kaneko family was among 120,000 Japanese Americans put in concentration camps in the United States. Kaneko’s illuminating poetry: touching, evocative, reflecting a deep sense of sadness––also reflects in its range, the depth of resilience and the transcendence of the human spirit. 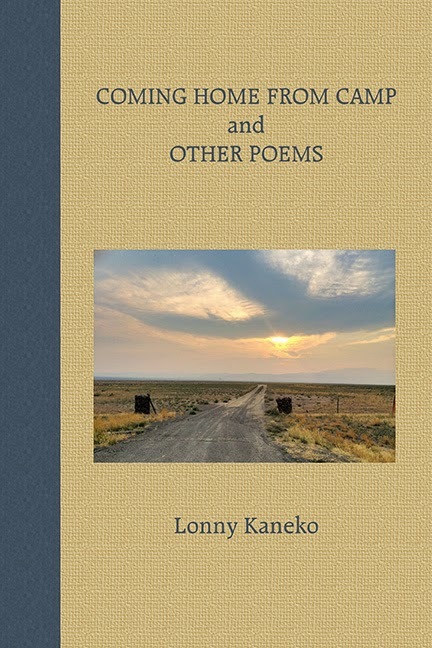 “There’s nothing to see through/the ordinary eyes . . .” says one of the poems in this fine collection, but Lonny Kaneko does not have ordinary eyes or an ordinary sensibility, and he sees a great deal. Hidden in the title of this book is the begged question: “How do we define home?” Here is a remarkable poet who has spent his whole life attempting to do this. Kaneko does not merely bear witness; he works to understand consequences. He is a participant in his life, not a victim of it. "Like the harsh wind scouring the barracks of Minidoka, these poems bring a chill with the first reading. Kaneko shares the numbing secrets of the internment, stating "the cold is not cold until I admit it." Against the sand of the past, he reveals the landscape of the present." There is "dust rising over all the world" but when it settles, one finds poems like these that quench the thirst and feed the soul. From Minidoka to Seattle and points beyond, I find myself returning to that "leaf in a well of water". Lonny Kaneko (1939–2017) has received both national and local awards for his poetry, fiction, and play––including a fellowship from the National Endowment for the Arts for poetry. Stories, poems and essays appear in anthologies such as An Ear to the Ground, Daily Fare, The Big AIIIEEEEE, Asian American Literature, and The Seattle Review. He lived on Vashon Island in Washington state. When Ann Combs, her husband Joe and their six children set about re-building a large dilapidated house on Bainbridge Island, their only prior experience in construction was building a toy chest from an instruction kit. In this classic chronicle of island life, you’ll meet surgeons who look like longshoreman, longshoremen who play Mozart concertos, old Mr. Torgeson, who raises chickens so fat they break their legs leaping off their perches, and Grandma Harriott, who carves historical scenes on cubes of butter. Told with humor and heartwarming candor, this charming account of the pitfalls and pratfalls of do-it-yourself home remodeling makes high comedy of island idiosyncrasies and domestic travail. Readers are in for a treat! 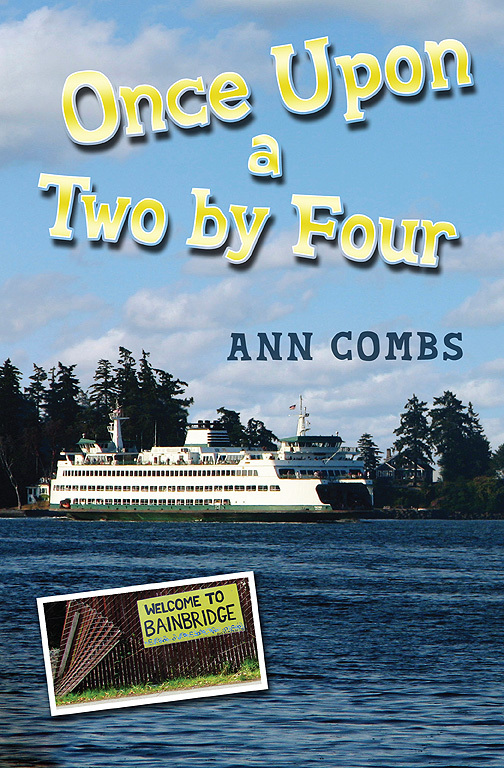 Ann Combs, a former columnist for the Seattle P-I, is the author of a number of titles for adults including Smith College Never Taught Me How to Salute; We’ll Laugh About This, Someday; and the beloved children’s book How Old is Old. She lives on Bainbridge Island, near Seattle, Washington. When Jack Palmer was offered a job driving a tractor for a mining company in Nome, Alaska, there was no time to waste in deciding. It was the morning of June 15, 1934. He had a lovely wife, Alice, a young daughter, Artis, a lot of debt, and no job in Seattle. Jack stepped on to the gangplank of the SS Victoria at Pier Two that same afternoon. Alice and Artis received a telegram from Jack later that summer telling her to be on the last boat and bring food for eight months. Artis Palmer, a former freelance writer for Seattle Magazine, in this charming memoir humorously and tenderly chronicles the challenges faced by her family during the Great Depression. Eccentric characters and unexpected adventures are entertainingly bound by the force of place and community. 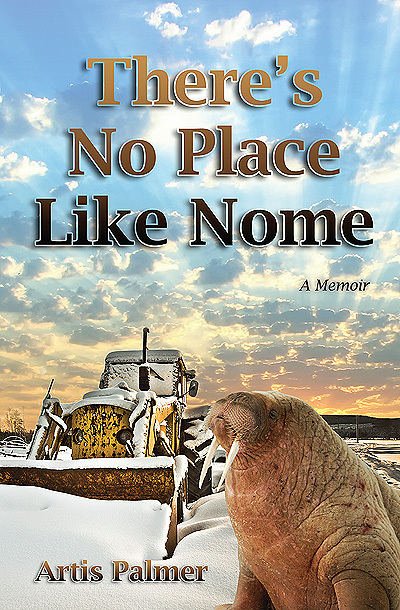 From bootlegging in Seattle to gold mining in Nome, Alaska, There’s No Place Like Nome reveals the courage and resilience of the human spirit in tough times. The title of this collection of poetry comes from a line in a poem written in 1875 by Rose Hawthorne Lathrop, daughter of Nathaniel Hawthorne. 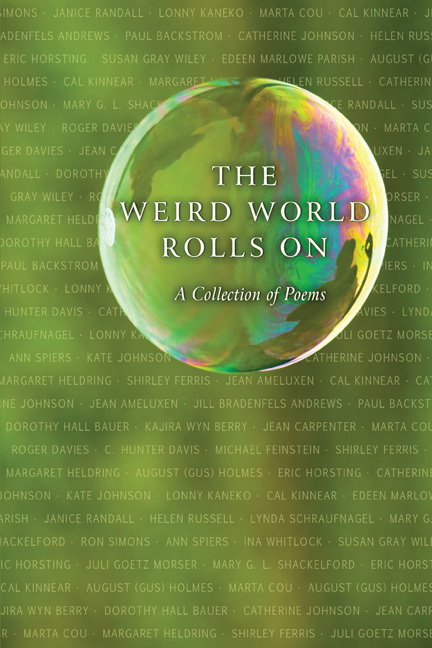 Our collection features contemporary poets such as Ina Whitlock, Roger Davies, Juli Goetz Morser, Catherine Johnson, Eric Horsting, Hunter Davis, Janice Randall, Sue Wiley, Lonny Kaneko and Ann Spiers. Dr. Albert Paugh is flunking retirement. After selling his Vashon Island veterinary practice, he soon finds himself not only lost without his work, but suddenly single. His efforts to carve out a new life, both as a bachelor and a retiree, only leave him feeling like his golden years are fast becoming years of gloom. His regrets pile up until he moves to Baker’s Beach where he gets to know a very special neighbor, learns that friends are the family you choose, and finds a new sense of purpose. 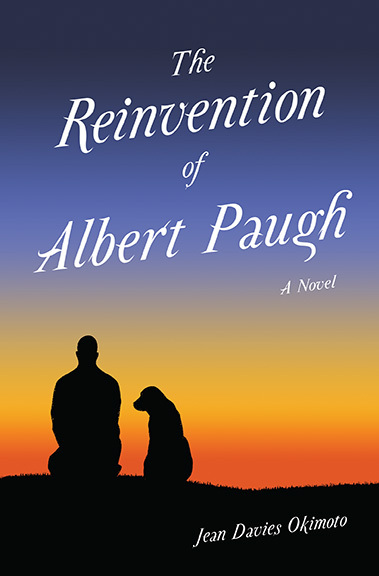 The Reinvention of Albert Paugh is a sweet, funny love story about retirees that will delight readers (and dog lovers) of any age. - Rayna Holtz, King County Library System Librarian, ret. - Rayna Holtz, Librarian, KING COUNTY LIBRARY SYSTEM, ret. It’s the first summer of her retirement and librarian Maggie Lewis is relishing the unfolding of sweet summer days on Vashon Island: walking on the beach, reading the classics, and kayaking. But in June when a sudden storm hits the island, Maggie’s summer becomes about as peaceful as navigating whitewater. Not only does her wealthy sister arrive uninvited with a startling announcement, but Maggie finds herself entangled with her new Baker’s Beach neighbor, Walter Hathaway. A famous children’s author and recovering alcoholic, Walter has a history with Maggie they would each like to forget. Recommended by the King County Library System Staff! 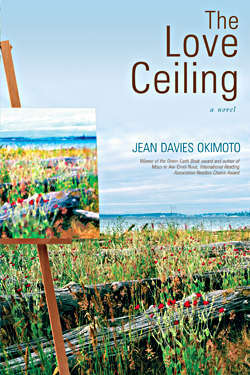 The Love Ceiling was recommended by the King County Library System staff as a 2009 seasonal read. The Love Ceiling is a woman's fiction finalist for the USA Book News National Best Book award. "In this courageous journey, Okimoto gives us a model for any woman yearning to claim her truth, to be seen for who she is in her deepest heart. I was inspired by The Love Ceiling and recommend it for any woman seeking greater self-expression."